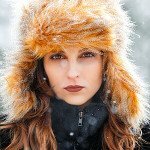 This article first appeared on the Barker College website. Buildings do not define any School including Barker College. Under God, that is the role of current and preceding staff, students and in particular the Heads of School. 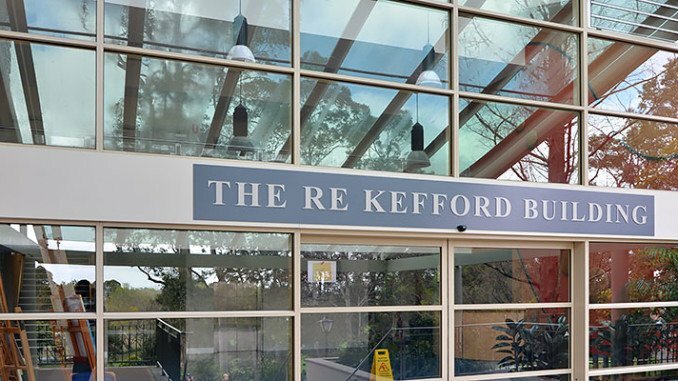 On Tuesday 2 September, members of Council, staff and students gathered to honour the service and leadership of Barker’s 8th Headmaster, Dr Rod Kefford, for the renaming of the Kurrajong Building to the R E Kefford Building. “The R E Kefford Building encompasses so many of the dreams and so much of the vision of Dr Kefford. It encompasses his consultative style in its planning; his passion for his core craft, that of teaching English; his egalitarian non-elitist attitude to learning and his environmental conscience,” retired Deputy Chair of the Barker College Council, Chris Russell said. “From the symbolic round padded room and ‘bubble’ of contemporary debate at its centre known affectionately to the students and staff as “Keff’s Cave” or “Rod’s Pod”, to the BCMA and Rhodes Theatres and the purpose built Chaplaincy Centre, this building epitomises by demonstration and facilitation, one of the great Headships within the history of the School. “In naming this building for its educational architect, it is our hope and prayer that many generations of students and staff will continue to experience the education enrichment; the excitement and love of learning; the challenge of self-discovery and the joy of Christian enlightenment that has characterised Dr Kefford’s leadership,” Mr Russell said.